There is an art to securely using cloud apps and services, including SaaS, PaaS, and IaaS. 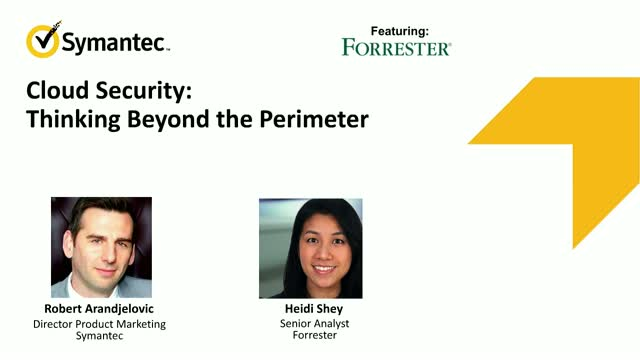 In this Symantec webcast, hear from Steve Riley, a Gartner senior director analyst who focuses on public cloud security, and Eric Andrews, Symantec’s vice president of cloud security, as they share best practices with practical tips for deploying and getting the full value out of your Cloud Access Security Broker (CASB) from visibility to data security to threat protection. As companies move their applications and operations from on-prem data centers to the cloud, a variety of security concerns become more complex. Applying security controls to servers outside of the physical control of IT means depending on web services and remote management. And since your data might not be in a single cloud – one benefit of cloud computing is spreading your data among multiple physical servers – data management can be difficult. This webcast will look at how data is managed, performance is monitored and analytics are collected and normalized across the cloud infrastructure. It will also look at how security operations are managed and executed in this ever-changing environment.